The Social Security system has protected and supported millions of older adults since 1935. And next Tuesday on October 30th at 11:00, Amy Throop from the local Social Security Administration office will be at the Center to help you better understand the past, present and future of Social Security. Amy will touch on a variety of subjects including who receives Social Security; where the money comes from what the retirement benefits are and how they determined; who can receive Social Security Disability Benefits and Supplemental Security Income; and what is the relationship between Social Security and Medicare. In honor of Veterans Day and in recognition of their dedication and commitment to service, in November, the AARP Driver Safety class taught by Dennis Davis (and his floozy assistant and wife – Mary. He is a lucky man!) will be free to all veterans and their spouses. The class will be offered from 9:00 – 12:00 on November 19th and 20th, the third Monday and Tuesday of the month. But knowing there are plenty of veterans who can recognize a good deal, Dennis will schedule another class if needed. To sign up or for more information, call the Center at 541-296-4788. And for non-veterans the cost is $14.00 and $12 for AARP members. I have finally confirmed the trip to Portland to see the Singing Christmas Tree for the 1:30 Matinee performance on Sunday, December 2nd. The Center’s regular transportation provider is unavailable, but thanks to Sherman County Community Transit the trip is a go. Consequently, I have set aside five tickets for any folks from Sherman County who would like to make the trip. So for all you readers in Sherman County, spread the word and ask anyone interested to call the Center. The tickets are $52 including transportation. After Amy Throop’s presentation, the Center’s next Tuesday Lecture will be on November 6th when Sue Ann Arguelles from The Dalles - Wasco County Library will explain how to download free e-books from the library to your iPad, Kindle or Nook. You know, one of those ebook readers many of you received from your kids to make sure you are keeping up with all the modern technological conveniences – even though you told them “I like the feel a real book in my hands!”. I am afraid I’m still pounding the SHIBA drum. The Medicare open enrollment period has already started and will end before you know it on December 7th. And my advice is - don’t wait till the last moment. The SHIBA Medicare counseling times at the Center have changed to only Wednesdays. But you can now make appointments for the morning as well as the afternoon. And if Wednesdays don’t fit your schedule, the SHIBA volunteers can make appointments at other times. Call the Center for more information. Short and sweet - tonight at the Center, crowd favorites "The Dufur Boys" will be playing. And on Tuesday the 30th “For the Good Times” will be performing their jamming favorites. Music starts at 7:00, everybody is welcome and donations are appreciated. The radio series spin off from Fibber McGee and Molly featuring a confirmed bachelor who oversaw his late brother-in-law’s estate while raising his orphaned niece and nephew was the Great Gildersleeve. 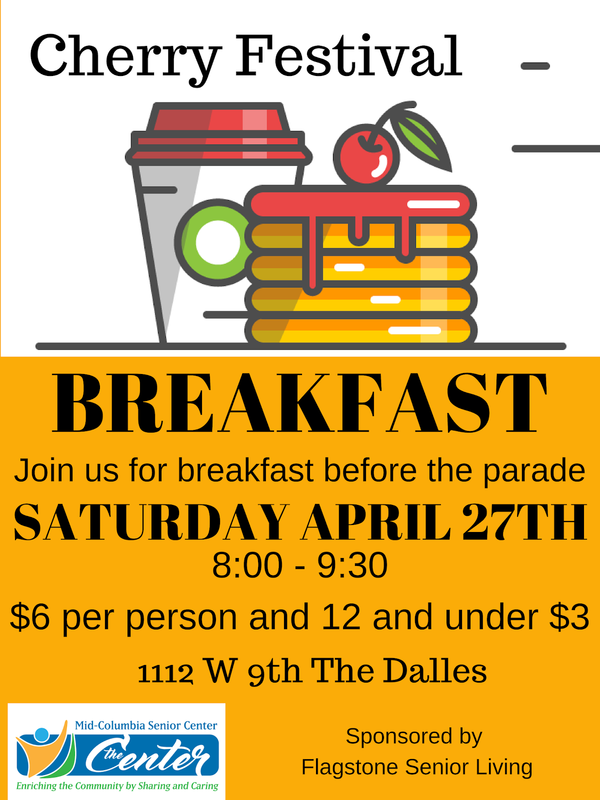 (The winner of a free Saturday breakfast is Don McAllister.) For this week’s “Remember When” we’ll take another peek at the glory days of radio. This radio program ran for a decade from 1941 - 1951 and took place “where the elite meet to eat”. It was run by the manager, Archie, whose mangled use of words were often quoted and included such malapropisms as “Fate has fickled its finger at me"; "Leave us not jump to seclusion"; and "Now, don't infirm me that I'm stupid. "What was the name of this working man’s comedy radio series? Email your answer to themcseniorcenter@gmail.com, call 541-296-4788 or mail it with a picture of the married couple - Ed Garner and Shirley Booth. And if you want to listen to these old time radio (OTR) classics and have access to the Internet you can visit The OTR.Network Library at http://www.otr.net - a free resource with over 12,000 radio shows available for instant listening. An important part of healthy aging is to keep moving and staying as active as possible– both physically and mentally. And if you can make it fun, it is a whole lot easier. One way to stay active while having fun is geocaching - a sport that has attracted thousands of international players. It is like a worldwide scavenger hunt that is good clean fun for everyone: parents, kids and grandkids. You use GPS devices (you can even download Geocaching applications to GPS enabled smartphones) to search for hidden containers called geocaches. And it is inexpensive - although you can travel to over 200 countries looking for geocaches! If you are intrigued, the Northern Wasco County Parks and Recreation is offering a Geocaching 101 Workshop at 10:00 on Friday October 12th. Just meet at the Parks and Recreation office at 414 Washington Street. Daniel Kittelson, the new Activities Coordinator, will show you how to operate a GPS receiver (which is provided) and find treasures hidden all over The Dalles! (And with a school in-service day, you can bring your grandkids!) The cost is only $10 per family. For more information call 541-296-9533. And you can also visit The Official Global GPS Cache Hunt Site website at geocaching.com and learn more about geocaching and the Great 2013 Geocaching Block Party Travel Bug Race. Thanks to everyone who attended the Baby Back Rib Dinner at the Center last Friday evening to support The Dalles Meals-on-Wheels and the Senior Center (and to enjoy some finger licking good Baby Back Ribs). It was made possible by all the hardworking volunteers – from cooks to greeters, the lively bluegrass music performed by Hardshell Harmony, Meadow Outdoor advertising, and the local businesses who contributed to the silent auction. And a BIG THANK-YOU to the evening’s sponsor: Mill Creek Point Senior Living. Their sponsorship covered the cost of the food and music so every dollar from ticket sales and the silent auction went directly to Meals-on-Wheels and the Senior Center. 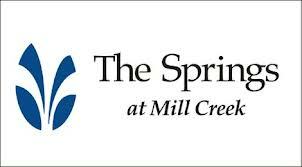 Mill Creek Point is being acquired by Springs Living, LLC and it was a pleasure to introduce the President and Founder of Springs Living, LLC, Fee Stubblefield, to the dinner crowd. (He also pitched in and helped serve dinner). It was a successful evening with wonderful friends. And we hope to see everyone back next year on the first Friday in October. When you receive your Annual Notice of Change letter from your Medicare plan, you may have questions as you decide if it is still the right plan for you. If you do have Medicare questions, sign up for free help at the Center from 1:00 – 4:00 PM on Mondays and Wednesdays starting October 17th. It is provided by trained SHIBA, (Senior Health Insurance Benefits Assistance) volunteers coordinated by Shirley Ludlow at the local Area Agency on Aging. Shirley is also scheduling appointments at other meal sites. If you want to find out if there will be a SHIBA volunteer in your area, call her at 541-298-4101. If it is hard and makes you think - that is not a bad thing. So get out your decoder ring and see if you can read this week’s Tuesday Night music announcement. Snmhfgs, Martin and Friends vhkk ad cqhmjhmf bneedd zmc okzxhmf bzqcr. Zmc mdws Stdrczx nm sgd 16th, Truman vhkk ad btsshmf gzhq. Sgd ltrhb rszqsr zs 7:00, dudqxnmd hq vdkbnld zmc cnmzsjnmr zqd zooqdbhzsdc. For this week’s “Remember When” questions, let’s go back to TV trivia, but with a different flavor. This dog was found in a bombed-out dog kennel during WWI and was named after the finger puppets given to American soldiers by French children. He starred in twenty three movies and his kin were featured in film, radio and television including a television series named after him that ran on ABC from 1954 through 1959. What was this famous dog’s name? Email your answer to the mcseniorcenter@gmail.com, call 541-296-4788 or mail it with a case of Ken-L Ration. Well, it has been another week, trying to stay out of trouble and in the good graces of my wife. Until we meet again, don’t blame someone for not doing what you kept them from doing in the first place. In less than two weeks, Medicare’s Annual Enrollment Period begins - the time between October 15th and December 7th. This timeframe is important because it is your only chance, with a few exceptions (aren’t there always a few exceptions), to change plans or more specifically switch from Original Medicare (Medicare Parts A and B) to a Medicare Advantage plan (Medicare Part C), switch from a Medicare Advantage plan back to Original Medicare, switch from one Medicare Advantage plan to another and make changes to your Medicare Part D prescription drug plan. Consequently, every October is the time you should review your current Medicare Plan to see if it is still the best deal for you. Are there any changes in the premiums and deductibles? Does your plan still cover your medications? Does it still let you go to the pharmacy or doctors you want? These are some of the questions you will want to ask when you receive your Annual Notice of Change letter to make sure your current plan is still your best option. And this year you may want to pay particular attention to your Prescription Drug Plan. As you may have heard, the premiums for seven of the top ten prescription drug plans will increase by 11 percent to 23 percent even though premiums for the overall market for 2013 will stay about the same. So this year, it may be worth your time and your check book to shop around. If you need help, there are several local resources available. The Center has once again invited Jeff Eagan, who has been in the Medicare Insurance business for over twenty years, to present a session called MEDICARE 101 on Tuesday October 9th from 3:00 – 4:30. He will explain the basics plus highlight any changes for 2013. Also the Area Agency on Aging is offering SHIBA counseling at the Center every Monday and Wednesday from 1:00 – 4:00 starting October 17th. SHIBA is “Senior Health Insurance Benefits Assistance”, a state wide program of trained volunteers to help answer your Medicare Part D and other Medicare questions. Call the Center (541-296-4788) to schedule your individual appointment with a SHIBA volunteer. You can also contact Medicare directly by calling 1-800-633-4227 or go online to www.medicare.gov. And you can contact SHIBA by calling their message line 1-800-722-4134 or go online at http://www.oregon.gov/DCBS/SHIBA/. One last reminder. The Baby Back Rib Dinner, a fundraiser for Meals-on-Wheels and the Senior Center; generously sponsored by Mill Creek Point Senior Living, is this coming Friday from 4:30 - 7:30 PM. Your $15.00 ticket can be bought at the Center, Klindt’s Booksellers or at the door. There will be additional parking in the St. Mary’s School parking lot with the Mill Creek Point Bus conveniently shuttling folks back and forth to the Center. And if you want to eat at home, call Betty Harlan at the Center after 4:30 PM and ask for a take-out. She will make sure your meal is hot and ready to go as early as 5:00 PM. Hardshell Harmony will again be providing the musical entertainment for the Baby Back Rib Dinner. But Friday night isn’t the only musical evening during the week. Tonight at the Center, Andre and the Strawberry Mountain Band will be playing country favorites for your dancing enjoyment. And then next Tuesday on the 9th, Martin and Friends will be returning. And if you want to mark it on your calendar for the rest of the month - Truman will be playing on the 16th, The Dufur Boys on the 23rd and For the Good Times on the 30th. The music starts at 7:00, everyone is welcome and donations are appreciated. The twin talking magpies of Terrytoons fame were “Heckle and Jeckle” - staples of Saturday morning cartoons. (And the randomly selected winner of a Baby Back Rib Dinner is Rayburn Parker.) 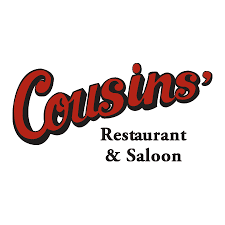 And since the Baby back Rib Dinner will be just a pleasant memory next week, the winner of this week’s “Remember When” questions will win a free Saturday Breakfast on October 20th. So here goes. The Royal Guardsman, an American rock band, recorded a 1966 hit describing the battles between the Red Baron and what comic strip character? Email your answer to the mcseniorcenter@gmail.com, call 541-296-4788 or mail it with a bag of Georgia grown peanuts. Well, it has been another week, trying to remember new names and old friends. Until we meet again, take that step no matter how small, because it only takes small changes to make big differences in our lives.